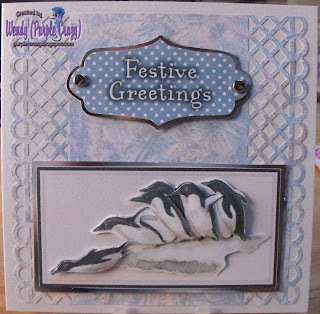 This week is the last challenge for 2012 and our theme at My Time To Craft is Animals in the Snow' so i've gone for a quick and easy card, so many cards to make at this time of year. The penguins are from Jayne Netley Mayhew Collection by Joanna Sheen, the BP is from my stash has been punched with an MS punch, the senti is also from my stash, printed from a CD a long time ago. Hope you are all ready for Christmas, will be back again tomorrow with my last posting before Christmas. This is adorable Wendy, love the image and the way you used it. 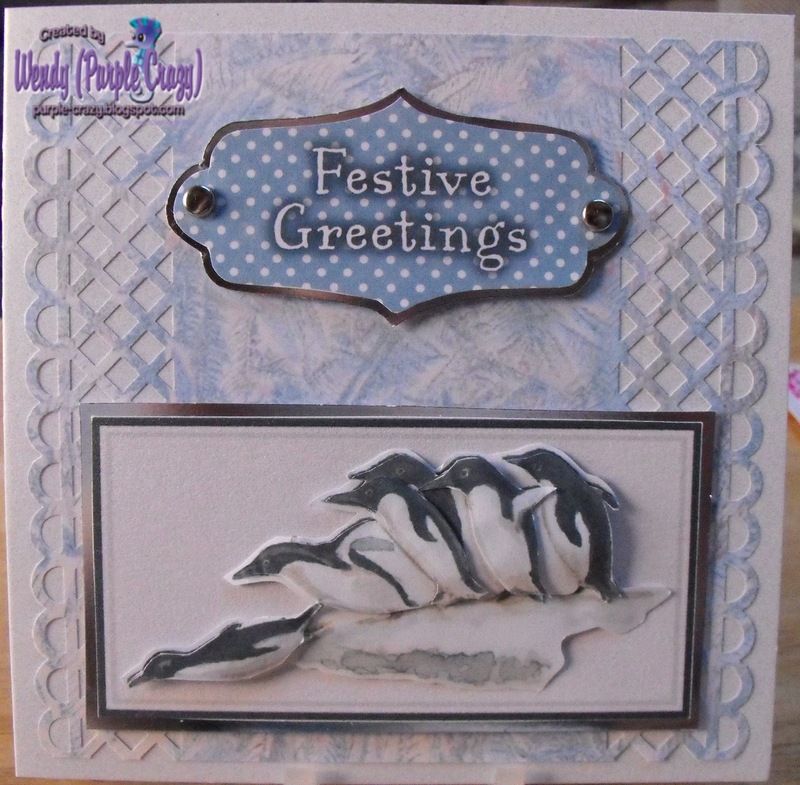 This is a fab Christmas card Wendy, such a gorgeous image. Great card hun, just love the image!